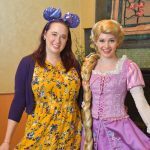 Today we have a guest post tutorial from Disney Bride Michelle! 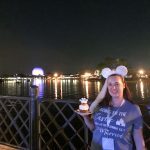 Michelle is super crafty as evidenced by all the creative DIY projects and games she created for their WDW wedding. 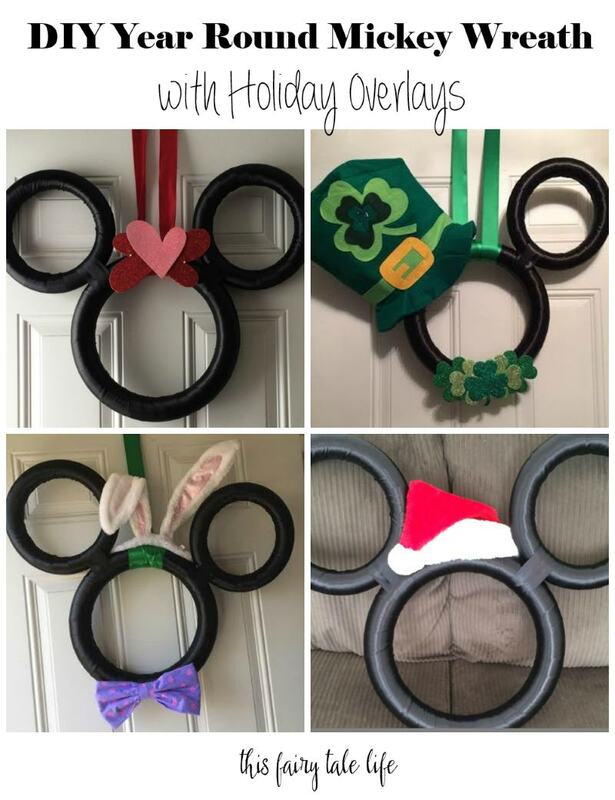 Michelle was making Disney themed holiday wreaths for her front door and found she was spending a lot of time and money creating a brand new wreath for each holiday. 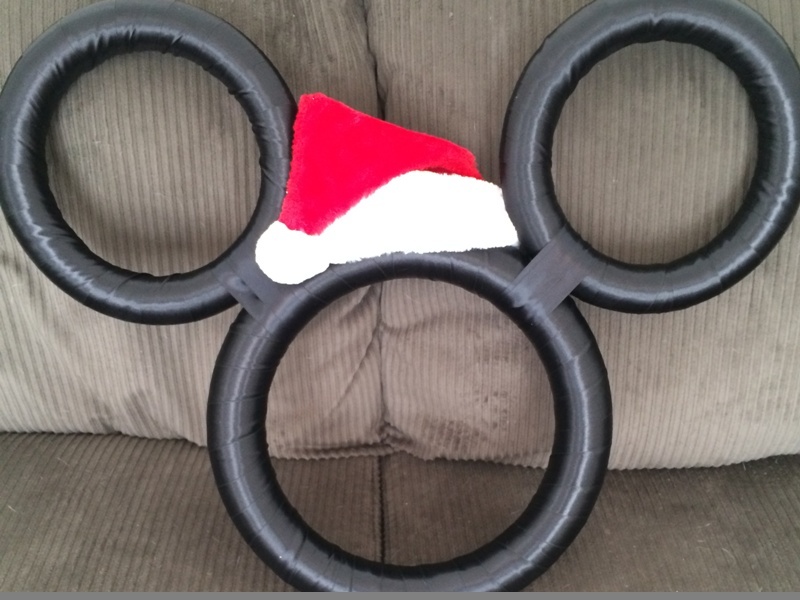 So, she came up with this idea for a year round Mickey wreath and various holiday overlays for the appropriate season! So clever! 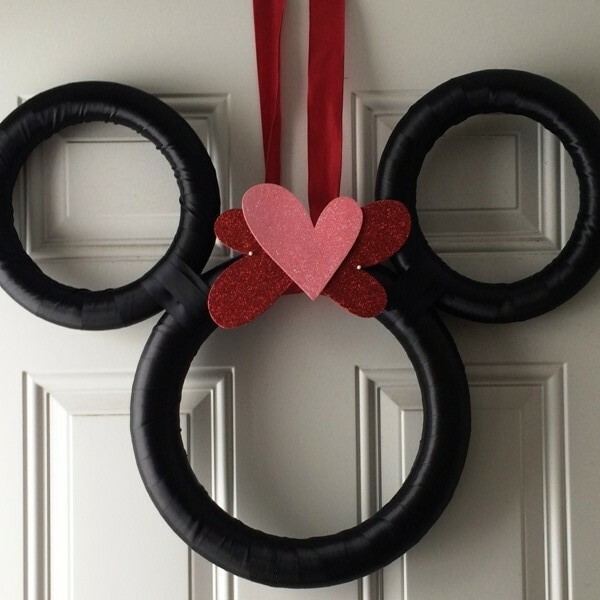 Making the base Mickey wreath is so simple and looks great just on its own. 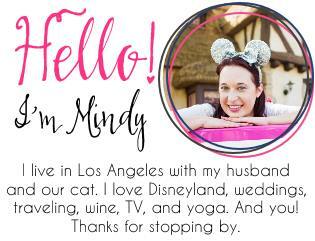 The holiday overlays can be as simple or as elaborate as you want. Michelle has given us a few examples, and will hopefully continue to send new pictures throughout the year as she updates the wreath! Black satin ribbon, 6 yards, at least 1 inch wide. 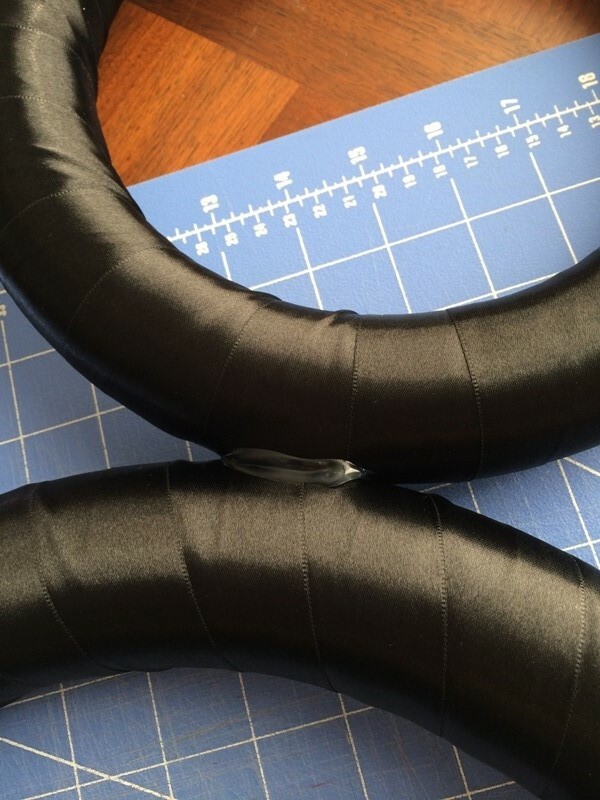 Step 1: Wrap all three foam rings with the black ribbon and secure with a dab of hot glue. 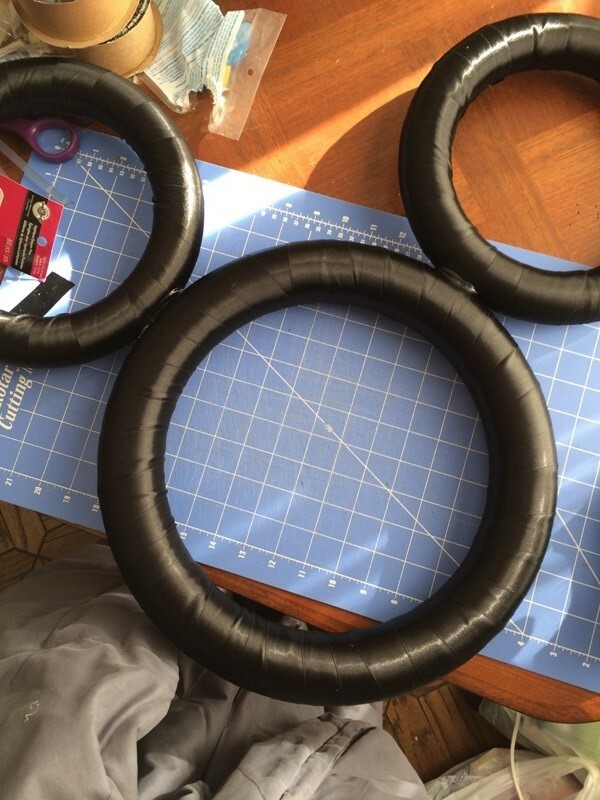 Step 2: Using the glue, attach the two smaller rings to the larger ring at a 90 degree angle from each other to form Mickey’s ears. 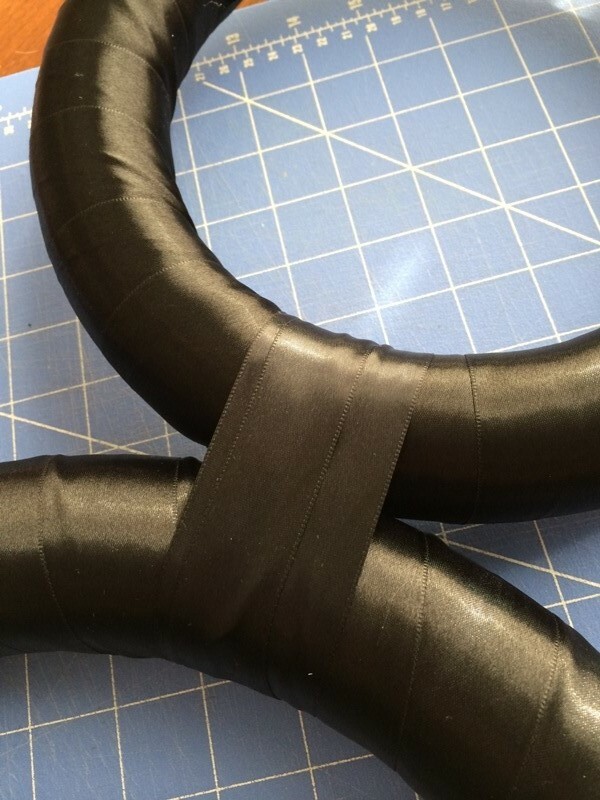 Step 3: Once the glue is dry, wrap some black ribbon around where the rings connect, to hide the glue. 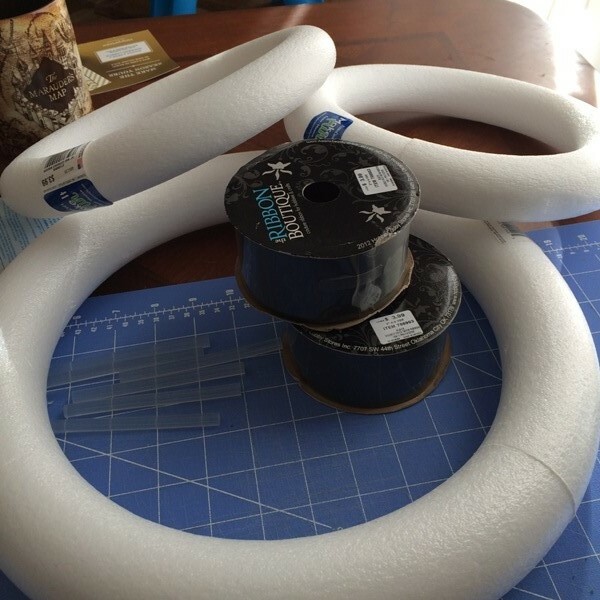 Secure with a dab of hot glue on the “back” of your wreath. 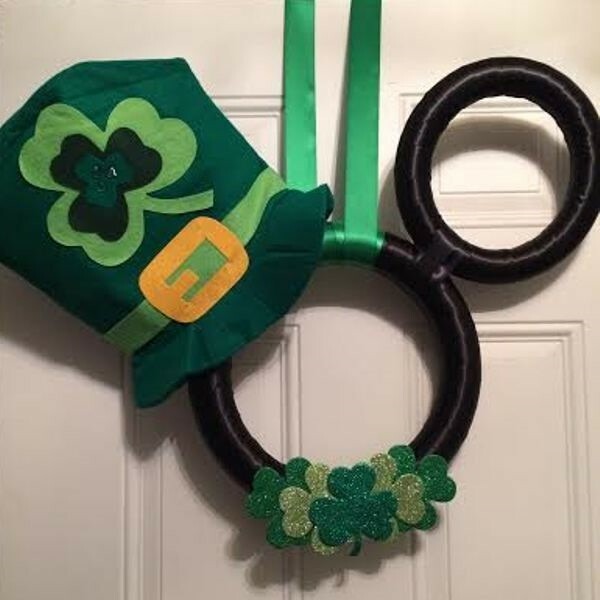 Step 4: (Optional) Tie a piece of black ribbon between the two smaller rings to hang from your door. Or you can change the color of the ribbon for each holiday, as Michelle is doing. 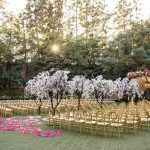 Isn’t this such a cute and clever idea? Thanks so much for sharing it with us, Michelle! This is a really cute idea! 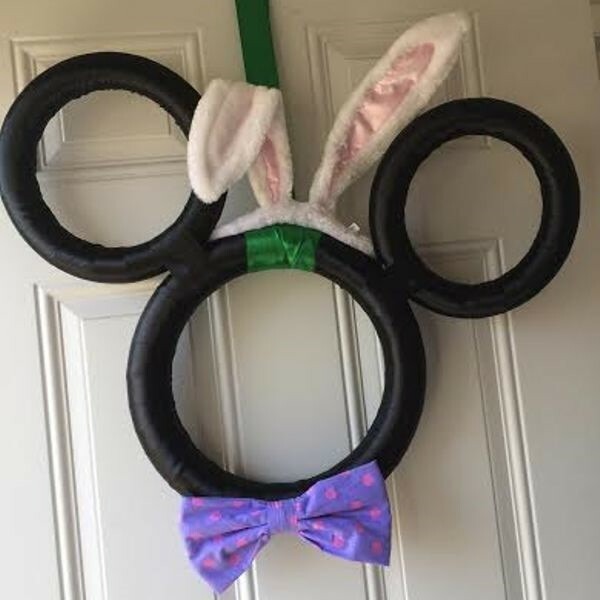 I love how Michelle decided to make ONE base wreath and just added things to it. Maybe she can make a crown and a b-day cake for her and her husband’s birthday month or a veil/top-hat for their wedding anniversary month?